Leading Manufacturer of pc based 2d measurement software from Bengaluru. We are offering PC Based 2D Measurement Software as per client requirement for their specific application. 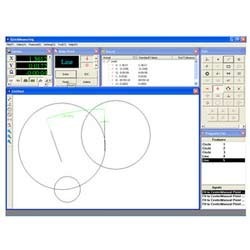 We offer these PC Based 2D Measurement Software at most reasonable prices. Our Price range varies from 130000 to 430000 based on specifications. 640 x 480 pixels image size and S-video signal input. Looking for Measurement Software ?